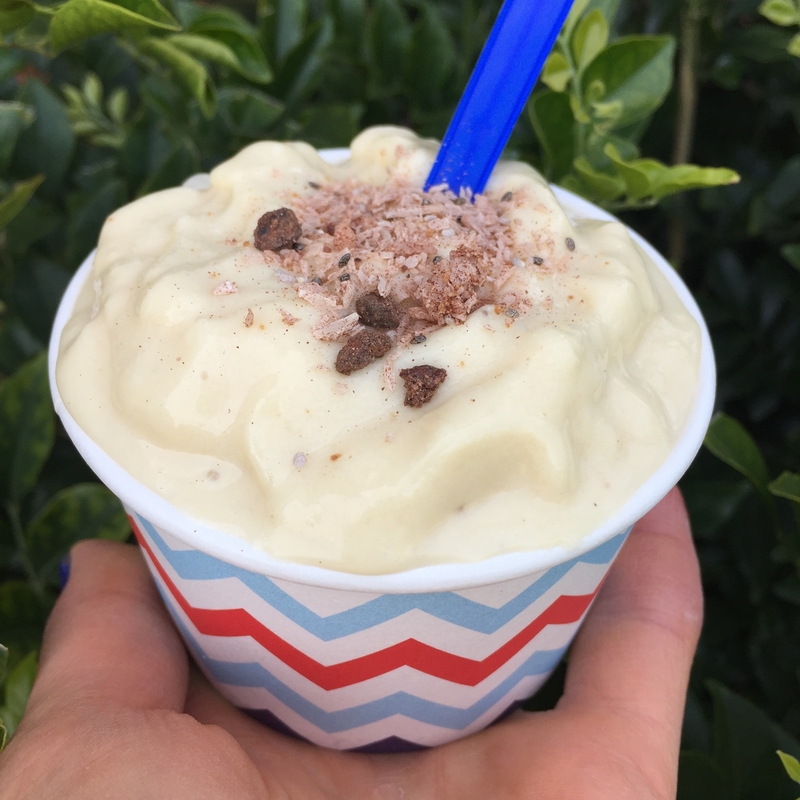 This recipe was created on a beautiful Melbourne's night and is a great, healthy alternative to give your kids instead of the chemical and sugar filled ice cream they normally get. It takes only 2 minutes to whip up and can be topped with whatever fruits, nuts or condiments you desire. You can also change this into a smoothie by adding a little more liquid. Place all ingredients in a high speed blender and blend for 60 sec until thick and creamy. Scoop evenly into bowls and top with anything you desire. This can also be made into a smoothie by adding more liquid. I am always looking to make new creations for my kids that are school friendly and therefore need to be nut free. 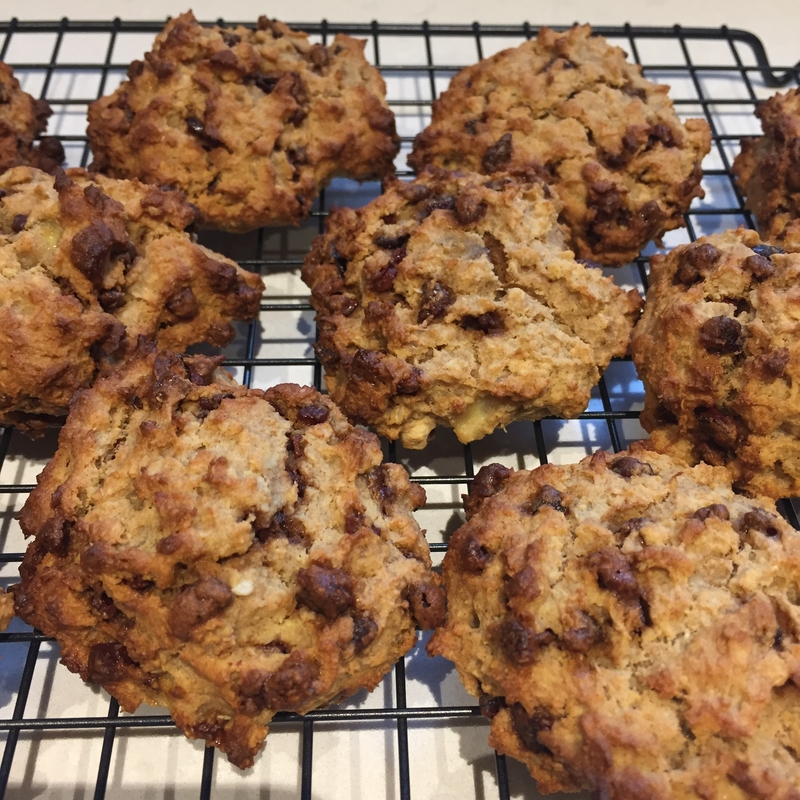 I have been experimenting a lot with quinoa flour and finally I have created a recipe that BOTH my kids like (even the one that doesn't like banana....). These biscuits are sweetened mostly by a ripe banana and a little maple syrup, which you can eliminate if you like. They are packed with protein and are a fabulous snack. Winning all around! In a large bowl mix together the flour, quinoa flakes, baking powder, salt and cinnamon. In a separate bowl, whisk together your eggs and melted oil. Add the mashed banana and maple syrup ensuring that it is all well combined. Add your liquid ingredients to your dry ingredients and mix until a dough forms. 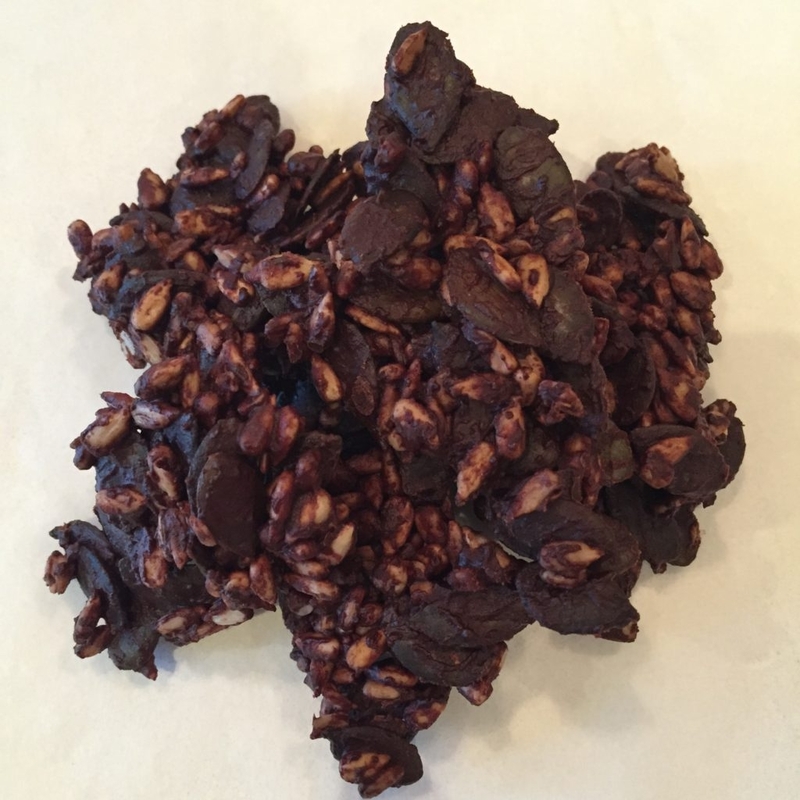 Gently fold in the cacao nibs. Place a spoonful of the mixture onto your prepared tray and bake for 20 minutes. 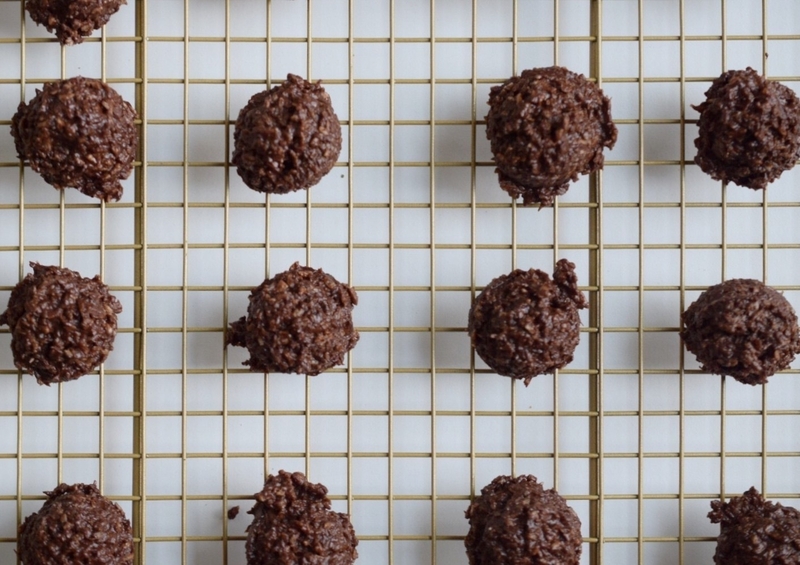 Transfer the cookies onto a cooling rack. Store in a well-sealed container for 5 days. With just 10 ingredients, and five easy steps, you can have your own 'mock' rocky road made and ready to eat in just over 30 minutes. 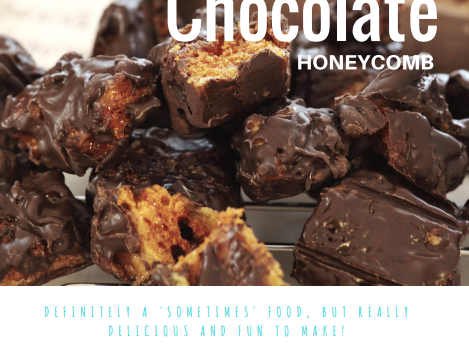 The kids will love the chocolately sweet taste, and you'll love the fact that there's no added processed sugar! Everyone wins! Prepare a 9cm x 9cm baking tray with parchment paper and set aside. In a large bowl, combine nuts, coconut, berries and quinoa. In a blender, mix together the melted coconut oil, cacao, dates, salt, cinnamon and vanilla until it is a smooth consistency. Pour this over the dry ingredients and mix until well combined. 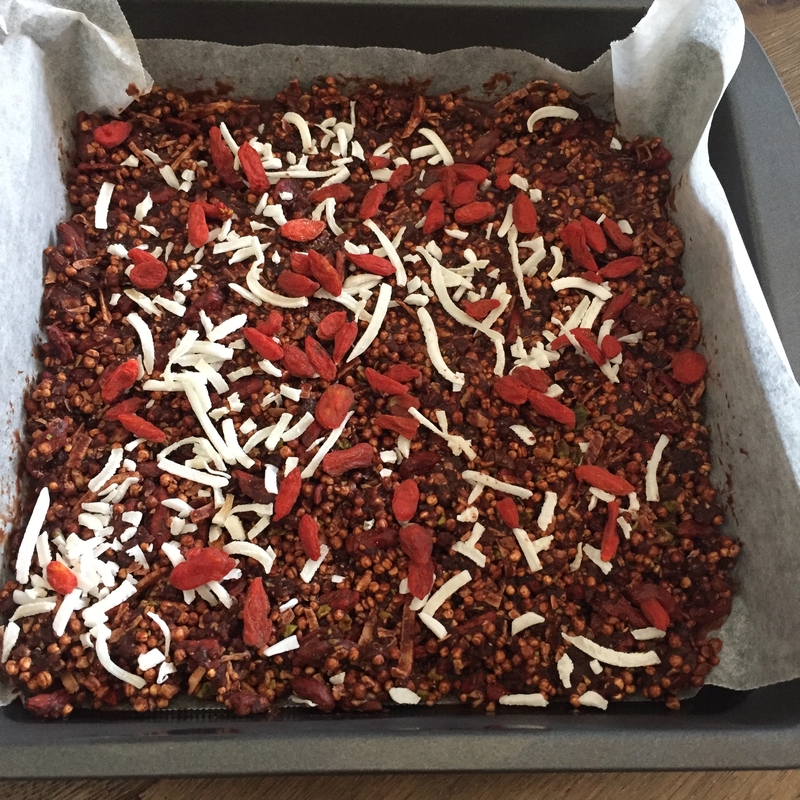 Sprinkle with extra coconut and goji berries. Pour mixture into prepared tray and place in freezer for 30 minutes. Cut into slices and serve. Keeps well in a well sealed glass container in the fridge for 2 weeks. With the warmer months approaching, our bodies crave refreshing, re-hydrating foods and there is nothing better than a delicious serve of ice cream. This recipe will enable you to succumb to your bodies cravings without consuming nay refined sugars, additives or processed ingredients. Naturally sweetened from the fruit and creamy from the cashews, you can enjoy every mouthful knowing your body is thanking you for it. Place all ingredients in a high speed blender and blend for 30 secs at a time on a medium speed until you get your desired, creamy consistency. Use a spatula in between blending to ensure everything mixes well. You may need to add some extra coconut water during the blending if you find the mixture is too dry. 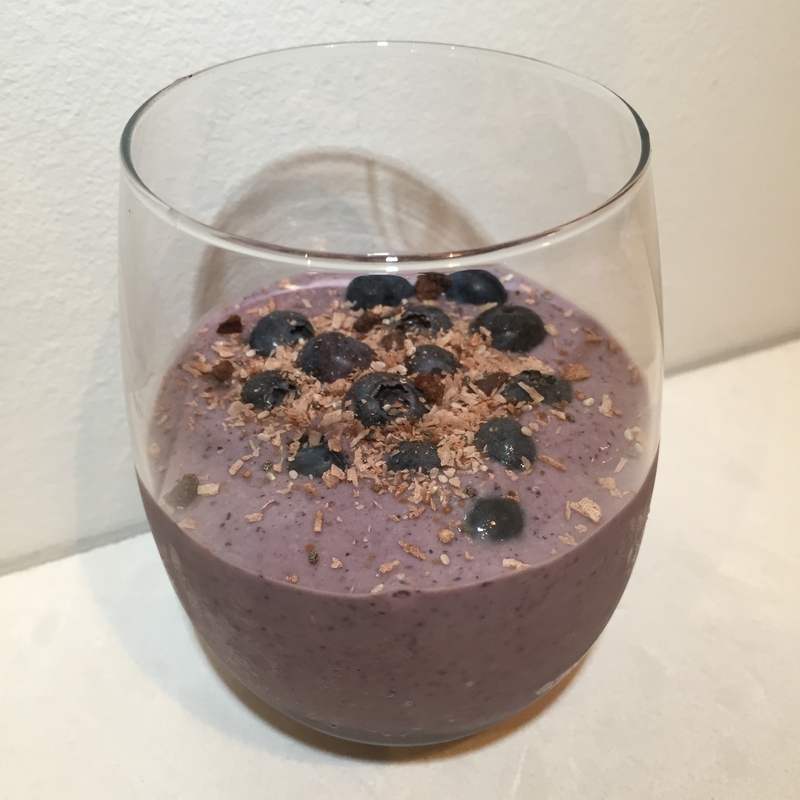 Remove from blender and you can top with coconut, cacao nibs, fresh fruit or muesli. I was inspired to create this after seeing a recipe on the Super Healthy Kids website. 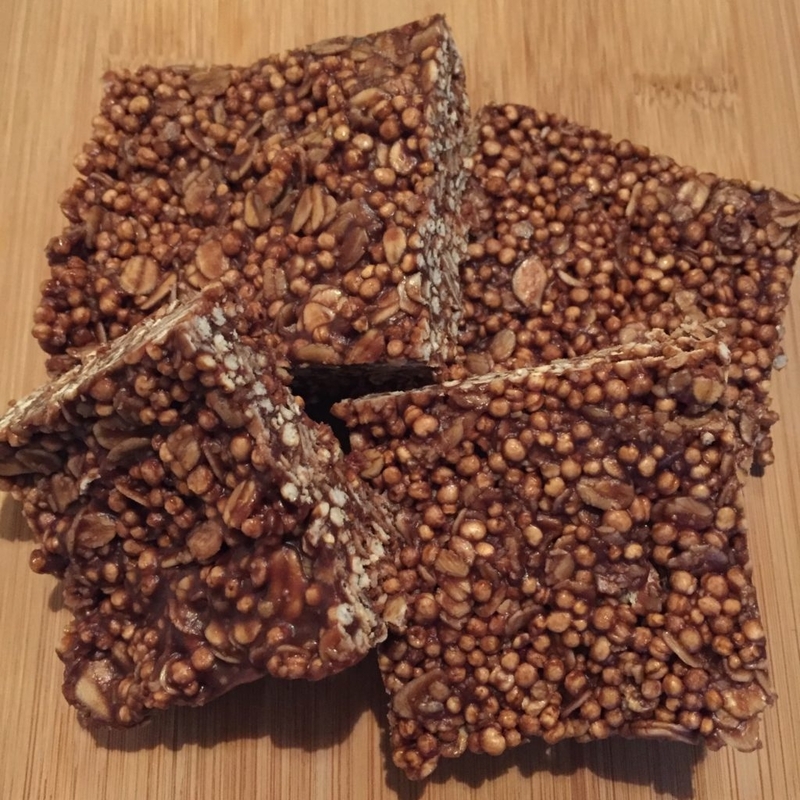 Together with my son, Nate, we were able to re-create a childhood memory of mine, Coco Pops, into a guilt-free, refined sugar free, nutritious bar that the kids can enjoy as a lunch box snack. Prepare baking dish, 9cm x 13cm, by lining with baking paper and set aside. Place the sunflower butter, honey and chocolate in a saucepan and on medium heat melt until it is all well combined. Stir in the vanilla extract. Remove saucepan from the heat and then mix in the oats so that it is well combined. Add the quinoa and mix until well combined. Transfer mixture into prepared dish and set in fridge for 1 hour. Can be stored in well sealed glass container for 2 weeks in the fridge. 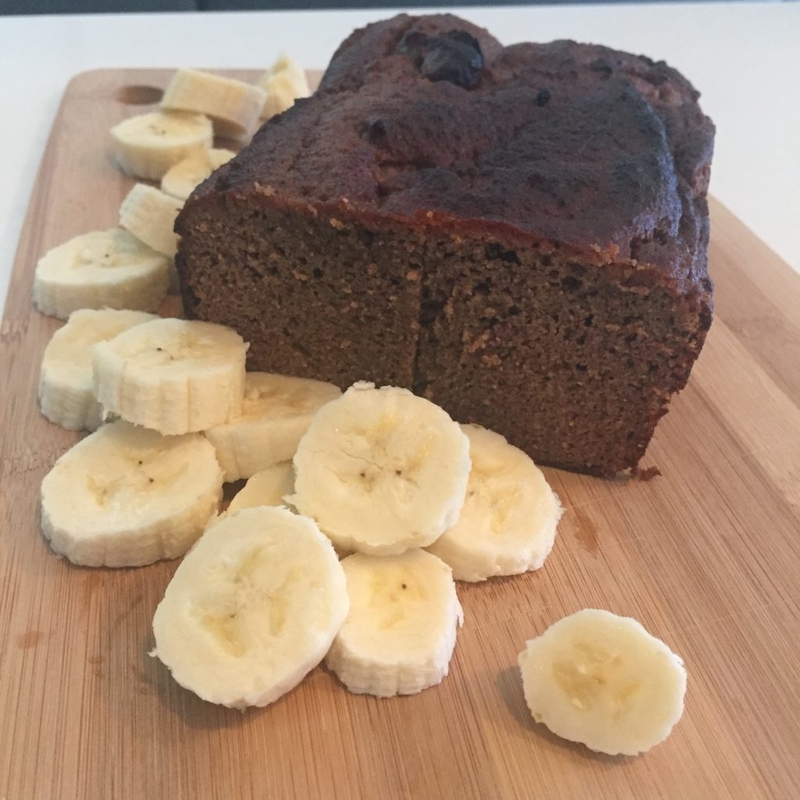 Thanks to Wholefood Simply for this banana bread recipe. What I absolutely love about it is that there is no sweeteners added to it apart from banana and dates and my kids love it! Having no nuts in it, it is also school friendly and using coconut flour makes it grain free too! You really can't get much better than this. Pre-heat your oven to 175 degrees. Grease and line you loaf tin, measuring 19.5cm x 9.5cm. In your blender or food processor, place your bananas, dates, tahini, salt and cinnamon and process until the mixture is smooth and well combined. Add the coconut flour and eggs and mix to combine. Add the baking soda and lemon and mix to combine. Pour mixture into prepared loaf tin. Bake for 45 minutes or until an inserted skewer comes out clean. Allow loaf to cool in tin for 5 minutes before transferring onto a cooling rack. After-dinner mints used to be such a treat for me. With no baking required, this recipe is really quick and easy to make, and can be enjoyed at any time with a nice hot cuppa. Transfer into bowl and add coconut nectar, coconut oil and peppermint essence. Stir until well combined. Add cacao nibs and chia seeds and mix. Spoon mixture into lined 8x8 inch tray. 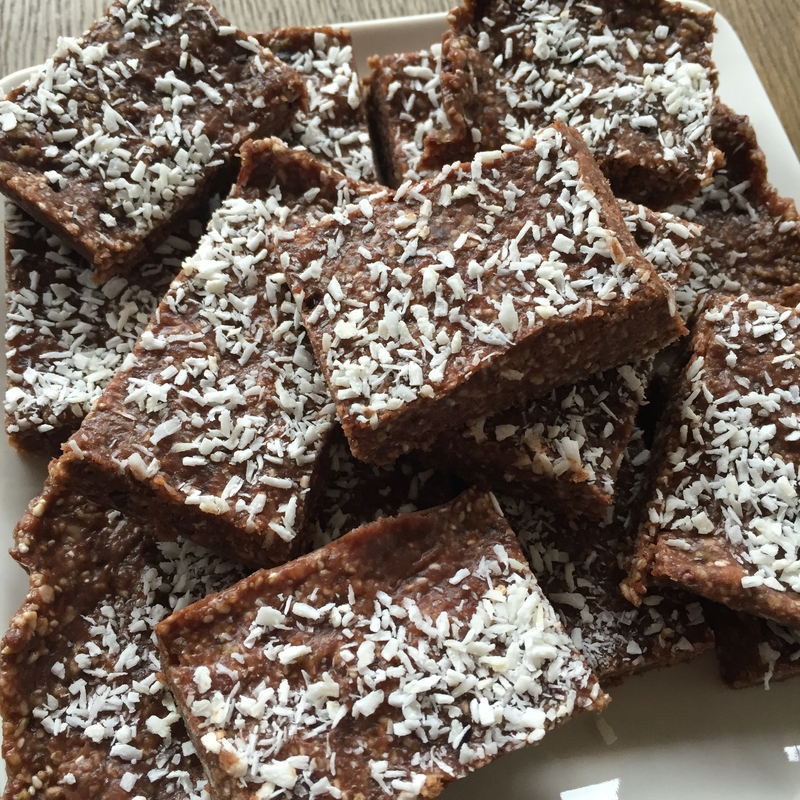 Top with desiccated coconut and place in fridge for 60 minutes to set before cutting into bars. Transfer into well sealed glass container and keep in fridge. We all have our moments when we are looking for something sweet to settle that craving especially when we are lacking in some energy. 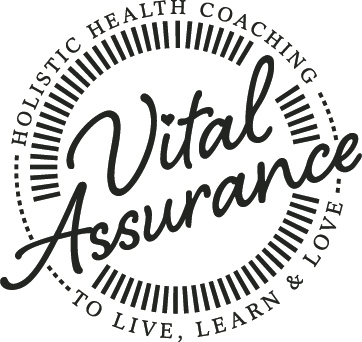 During these moments it is very easy to resort to blocks of chocolates or packets of biscuits which will just continue to feed that need for something sweet. Having these chocolate seed roughs in your fridge, ready and waiting will mean that during those moments you can reach for something that will give you that sweet hit you are looking for without the refined sugar but with the additional benefit of good sources of protein and fats that will keep you satisfied. Melt the cacao powder, coconut oil and maple syrup together until smooth. Add the seeds to the chocolate mixture and mix well. Smooth out mixture onto a tray lined with baking paper. Place in fridge for 30 minutes to set and then break it up into bite sized pieces.